Next week we will all gather with family and friends to celebrate Thanksgiving. A delicious turkey dinner and hearts filled with gratitude punctuate this special holiday, and one so many of us look forward to every year. I’m an admitted foodie, and ever since I was a child, have adored Thanksgiving. When I was a little girl, my mom always hosted Thanksgiving and one of our family’s signature sides was creamed corn. The recipe came from this fabulous restaurant in my home town – The Ritz – and we referred to it as “liquid gold.” The Ritz elegantly severed the cream corn in miniature copper skillets, and topped each one with a golden parmesan crust. We made it year after year, and I remember carefully stirring the soft white flour and rich butter to make a roux, and adding the velvety cream and sweet corn kernels. Ha, it wasn’t exactly healthy, but boy did it taste incredible! We’re hosting Thanksgiving at our house this year, and counting the days until our family arrives. This holiday season will be especially fun, as it’s our first Thanksgiving in our new house, and baby G is now old enough to join the family for dinner. My mom even surprised us with his very own engraved silver napkin ring! For any of you hosting, you know that while it’s wonderful to invite loved ones into your home, it also takes a great deal of planning and preparation. Compiling menus and recipes, grocery shopping, setting the table, cooking, and then of course being a calm and collected host the day of – it’s a big job! Especially if you’re feeding a large group. Every year I like to post my holiday hosting tips to help you shine as your best self, and I hope you’ll find them as helpful as I do. 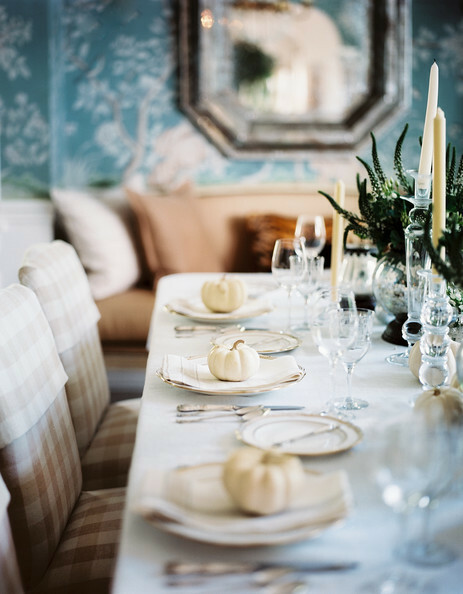 Keep an eye out for tips for how to be a gracious guest later this week! CELEBRATING WITH LOTS OF CHILDREN? CONSIDER A KIDS TABLE.